One of the things I love about living in Charlotte, North Carolina, is the city’s centralized location. Close to the mountains and not far from the coast, Charlotte’s locale offers the best of two worlds. To the north, west and east we have all that is “Got To Be NC” North Carolina; and to the south, all that is “Certified South Carolina”. The Olde English District is the region of South Carolina that immediately borders the southern side of Charlotte. This South Carolina region incorporates Chester, York, Lancaster, Chesterfield, Union, Fairfield and Kershaw counties and includes the cities of Ft. MIll, York, Rock Hill, Richburg, Lancaster, and Buffalo, just to name a few. Betcha didn’t even know there was a Buffalo SC – its an important place to remember, you’ll learn why in just a moment. With all of this close enough for a day trip, the Olde English District offers lots of reasons why you’ll want to slip across state lines and plan a visit to South Carolina soon. On Friday July 27, I had the pleasure of appearing on Charlotte’s WCNC’s Charlotte Today with hosts Colleen Odegaard and Eugene Robinson. On air I shared about a half dozen of the places listed in this post as a fun travel segment on the show. In case you missed it, here is the actual video. Read on to get the details, the links and more information below, so you’ll have it all here for reference as you plan you South Carolina adventure. The Olde English District Market & Gift Shop – 3200 Commerce Street in Richburg, South Carolina – Just off I-77, 25 mins from Charlotte, this is one of the official South Carolina Visitor’s Centers with all the info about all to do and experience in South Carolina. There are hundreds of free brochures here with maps of parks, hiking trails and all sorts of water sports to info on gardens, hand crafted pottery and local farms as well. There is also lots of info on The Olde English District website; but the hidden secret here is that the center is also one of the best gift shops of South Carolina-made art, jewelry food stuffs, soaps, and all kinds of South Carolina swag. A great place to shop if you are in search of beautiful locally made or produced product and gifts. For those who love the outdoors and like to walk trails, hike, kayak, ride horses, and are up for a little adventure its all at the Anne Close Springs Greenway in Ft. Mill, South Carolina. There are several addresses, depending on the adventure you seek. The Greenway is also home to The Dairy Barn which is a big wedding and event venue, should you be in the market… Info and trail maps on the website Walk the trails near the Dairy Barn and you’ll even find a swinging bridge to take you over the creek ( please not the bridge is closed for repairs till early August 2018). The Greenway is just 20 minutes from the state line, close enough to Charlotte to scoot over for the morning or afternoon; and a great place for family fun. Then, don’t miss a visit to the one and only, Puckerbutt Pepper Company, home of the Carolina Reaper, the world’s hottest pepper ( in the Guinness Book of World records for years!) It all started in the 1990s with a little garden, some 800 hot pepper plants, and a man named “Smokin” Ed Currie, on a mission to uncover the health benefits of hot peppers. Of course, these fabulous hot pepper sauces ( and some great mustards and jalapeno horseradish and fresh peppers and pepper seeds) – some considerably hotter than others – are available online and in pepper sauce, specialty grocery and gift shops all around the country ( including the Olde English District Market & Gift Shop!) You’ll also find them on the tables at The Flipside. But while you are in Fort Mill, you simply must go and experience it all for yourself. The Puckerbutt Pepper Company is located at 235 Main Street, FT Mill, South Carolina. In Rock Hill, South Carolina, plan to enjoy a late summer afternoon as you Canoe down the Catawba River; and then don’t miss breakfast or lunch at The Yolk. If you are interested in canoeing, Duke Energy has put together a terrific map with all the details you’ll need. There are several options for Canoe and Kayak rentals. Full disclosure – I’ve never done it myself but you can get lots of info on rentals and booking trip on websites here and here. While I am not big on water sports I can with authority and a great deal of conviction, tell you where to eat when the fun on the water is done – or maybe before it begins. If you are in Rock Hill, South Carolina you will, without a doubt, want to visit my friends Greg and Subrina Collier, owners of The Yolk, located at 1912 Mt Gallant Rd. The Yolk is breakfast place serving till 2 pm. Its all about community and the love of all things local here as Greg and his team support dozens of local farms week to week. Keeping it local is a commitment this Memphis native made when he came to South Carolina and one he has kept. Although I must say the Tennessee rub on the fries is killer and you do not want to pass up an order for the table to share while you wait for the rest of your meal! You can read more about The Yolk and the impact Greg and Subrina have had on the culinary community of the Carolina’s in a post I wrote about them several years ago when they were featured in a segment of Peter Taylor and Marc Jacksina’s order/fire video series. Since then Greg and Subrina have been up to A LOT – time for an update on it all so stay tuned, but meantime, go eat at The Yolk. Remember when I said at the top of the post how you needed to remember about Buffalo, South Carolina? Here’s Why… This small town is home to the iconic Midway BBQ, located at 811 Main St. This place is heralded by Southern Living Magazine as one of the South’s 20 most legendary BBQ Joints! But wait, that’s not all. Midway is also the “Hash and Chicken Stew Capital of the World”. Stop to eat at this one of a kind 100-mile BBQ Joint ( that means folks will and have traveled 100 + miles just to eat here) filling your plate with the delicious smoked ‘cue and your choice of sauces, and a choice of 30-some sides. The rich and creamy macaroni pie doesn’t not disappoint; but it goes without saying that you must try the chicken hash. Back in the day, South Carolina’s Union County was filled with “hash houses”, each with their own variation on the theme of this regional BBQ side dish of shredded beef slow cooked with onions, vegetables and a special blend of butter and spices. The mix is piquant and peppery. Today Midway BBQ is the only one hash house remains in Union County serving the family recipe as its been done for the past 50 + years. Midway opened in 1941 by Jack O’Dell. In 1994, Jay Allen, O’Dells son-in-law came into the business and worked as manager. Today Jay and his wife Amy now own Midway and still prepare the hash and chicken stew, using the family recipe, every day in 100 gallon pots. As there is with every iconic regional food, there is an art to eating hash and chicken stew. Here’s the pro tip, so you won’t appear to be a tourist… although Buffalo is a small town, so just know that they will know you’re not from around these parts, but they love that you came in to eat or take an order to go. Order the hash on white bread as it is pictured here; and as for the chicken stew? A sleeve ( or half sleeve) of saltines and a side of sweet pickles, completes order. The “great wall of china” marks the outside of sculpture artist, Bob Doster’s Backstreet Studio. This is a working studio, an art gallery, garden and event space located at 217 East Gay Street, Lancaster, SC. Inside, enjoy the Gallery, a cute tea room next door where you can book fun tea parties for special private events. Beyond that a charming garden, packed with Bob’s work. For more information visit the Backstreet Studio website or follow Bob Doster on social media. Then walk or drive over to see the art and learn about the culture of the Catawba Indians – the first people of the land that was to become the Palmetto State, here thousands of years before folks came to these parts for barbecue and hot sauce. Catawba artisans have been making pottery in the same way – digging the clay from secret ceremonial places in the area for the past 4000 years and the traditions continue today. The Native American Studies Center in Lancaster at 119 South Main Street was opened in 2012 by the University of South Carolina for the study and celebration of South Carolina’s Native American peoples. To tell their story and honor their history, and their culture. This museum and education center offers visitors the opportunity to view the single largest collection of Catawba Indian pottery in existence – so its a stop you don’t want to miss. 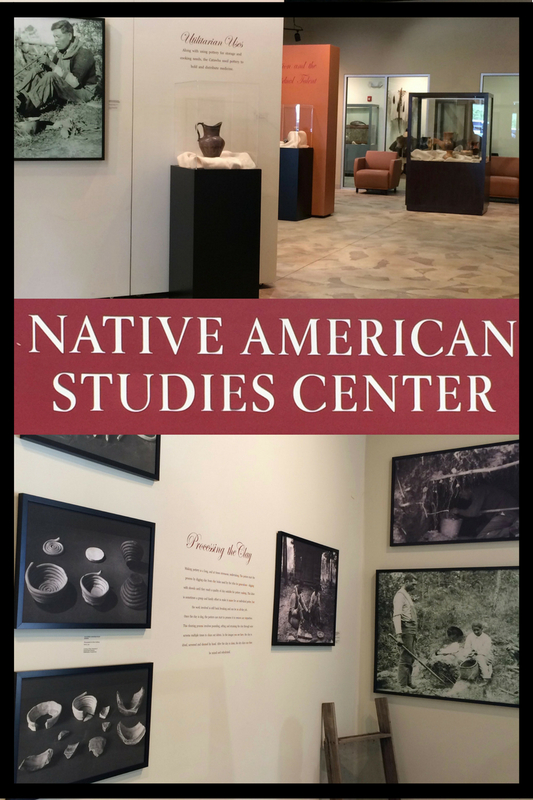 Check the center’s website for interesting lunch and learn programs, lectures, rotating exhibits and information as to how you can contribute and help support the efforts to preserve the artwork, the history and the culture of South Carolina’s Catawba Nation. As you travel the highways and the backroads in South Carolina, en route to all of the places above, you’ll pass lots of local farms and farm stands. Among them a number of South Carolina peach stands. These are always worth a stop for fresh picked peaches and other seasonal produce and often, a cool and refreshing cone of soft serve peach ice cream!! South Carolina is the second largest producer of peaches in the country, second only to California; and I am delighted to report that 2018 has been a good year. Its important to note that these stands are real farms and while many of the farms have satellite locations at the peak of peach season, for the most part the peaches are grown onsite. Several stands also have cute little restaurants or lunch counters. Some great, close to Charlotte, South Carolina peach stands include Black’s Peaches, Bush-n-Vine and Springs Farm peach stand (across from the Anne Close Springs Greenway) pictured below. A bit further away, but still a fun drive, are Mcleod Peaches in Macbee, SC ( be sure to try the Peach Enchilda) and Titan Peaches in Ridge Springs, SC (with stands in Trenton, Aiken and Columbia, SC) are two of the largest peach growers in the Southeast and are always fun to visit. Always worth a stop these are not just touristy little junk stores along the highway… to the contrary, most are road side stands certified by the South Carolina Department of Agriculture; and while peaches are everyone’s jam from mid June till late September; there is more to know and enjoy about South Carolina produce and proteins. Take for example, Windy Hill Orchards in York South Carolina – where the actions is all about apples. Closed for the summer till August 17, Windy Hill produces hard cider and on weekends they make the most wonderful apple cider doughnuts! Before we end this South Carolina road trip, I would be remiss if I didn’t mention two additional South Carolina farms. There are many more to talk about, but these are two I often “shop local” from the most; and both sell on Saturdays at the Matthews Community Farmers’ Market in downtown Matthews, NC! Tega Hills Farm is in Ft, Mill, South Carolina and offers a roadside stand open every day. Tega Hills is a hydroponic farm of greenhouses with crops of lettuces, microgreens and in season tomatoes, squash blossoms, cucumbers and more. I teach many of my On the Farm cooking classes at Tega Hills Farm, so keep an eye out and be sure to make plans to join in the fun at one of the fall classes ( time and dates to be announced soon). Hot Pepper Herb Farm is located on Highway 21 between Rock Hill and Lancaster, South Carolina. Although they are not certified organic, they practice sustainable, agronomy and organic principles. They describe the farm as definitely “Earth Friendly” and they say the probably grow a vegetable for every letter of the alphabet including all sorts of peppers and chilies ( from hot to mild) and lots of varieties of tomatoes, too. When pepper growing season has passed, they sell lots of dried peppers at the market, too. One of the things I hold dear about Hot Pepper Herb Farm is that they are the only farmers I have known in these parts to grown the Julia Child variety of tomato – you’ll see a photo of me holding several from last season’s harvest here, in a post I wrote last year in honor of Julia Child’s August birthday. That’s a wrap on this food-centric travelogue of the Olde English District of South Carolina. Hope you’ve enjoyed the ride. I am looking forward to hearing about your adventures when you and your family and friends go to visit; meantime stay tuned, more to come in the week’s ahead on other South Carolina restaurants you’ll certainly want to discover; and a post on cooking with local peaches. Don’t miss a single post – subscribe to HeidiBillottoFood.com now as prompted in the box at the top of this page and all the recipes, cooking class info, travel posts and other food-centric fun will come right to your in box! Can’t wait to have you on board! !